Soft and lovely teak wood, the favorite material of shipbuilders and other craftsmen for centuries. 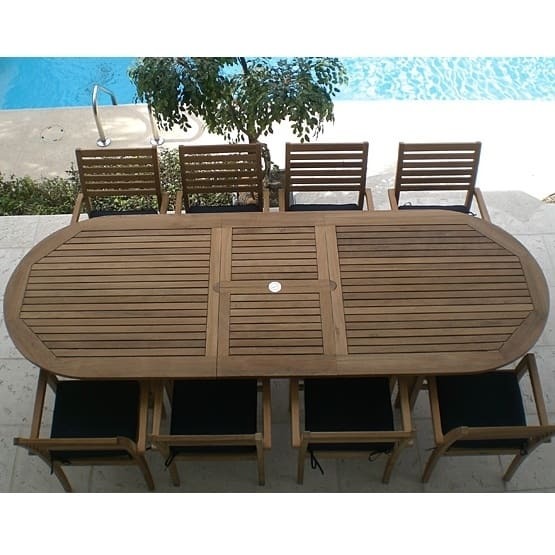 Now you can bring an updated style of this durable and natural wood patio furniture to your home with the Avant Teak Outdoor Dining Collection from Royal Teak. The Avant Collection features a stackable dining chair with a classic shape, yet updated with contemporary lines, gentle curves and trendy ladder back rails. 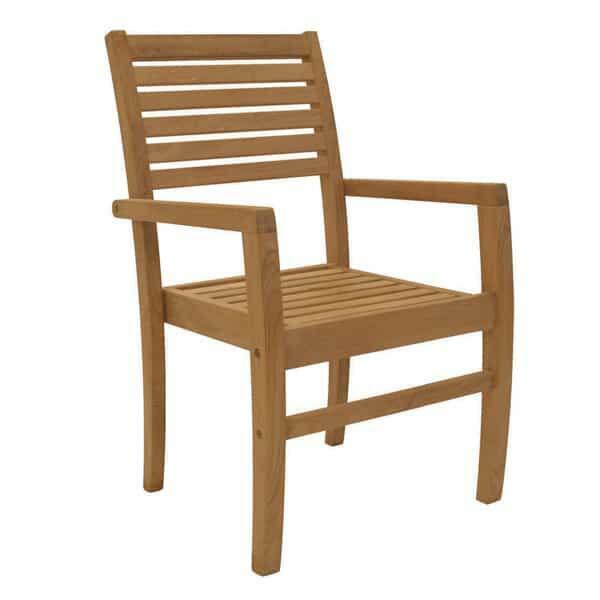 This chair offers a beautiful look made from a natural material that will match any of Royal Teak's table options listed below. Teak is extremely dense and offers higher amounts of silica and natural oils than other types of wood, making it ideal for use in areas (and in furniture) that routinely get wet. 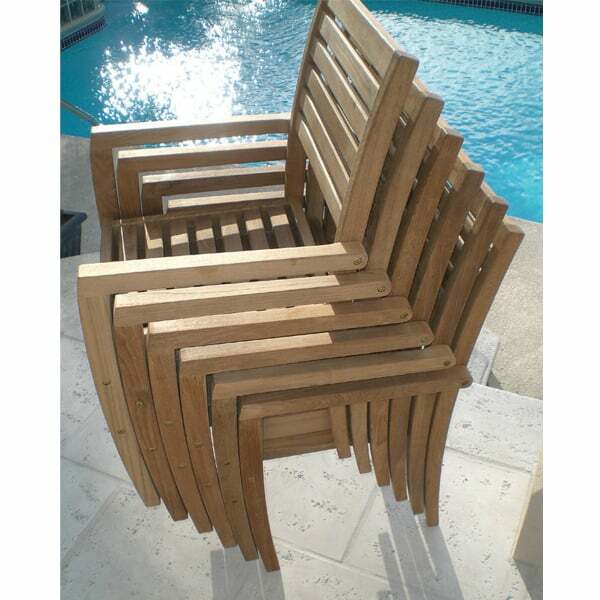 Place this Royal Teak furniture outside near a swimming pool without fear; it will age gracefully when exposed to moisture over time, gaining an attractive silvery finish that can be removed if you so wish. 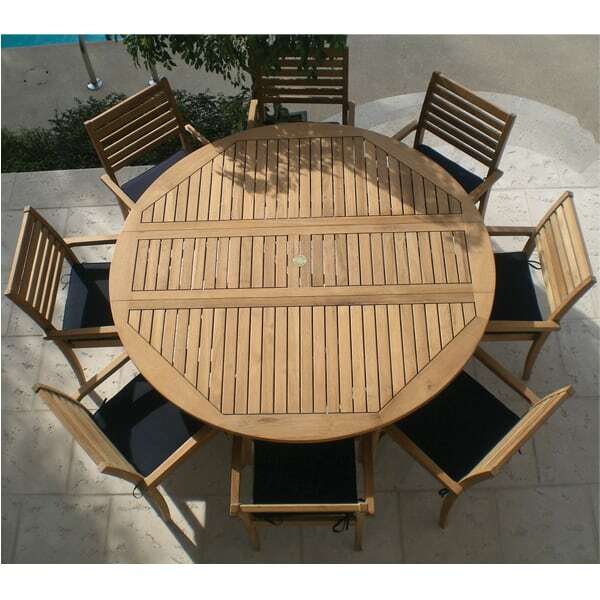 So if you find yourself dissatisfied with other patio furniture options, consider the Avant Teak Outdoor Dining Collection from Royal Teak, which comes with free shipping nationwide from Family Leisure! 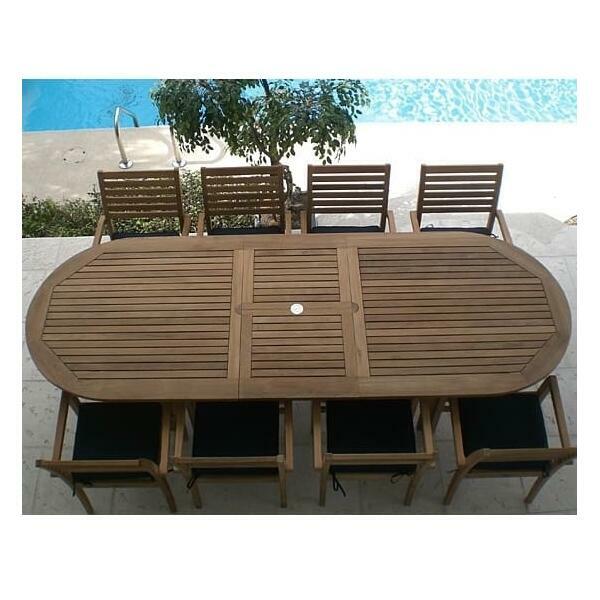 Featured Set Includes: 6' Table with 8 Dining Chairs. W 23" x D 22" x H 36" LBS 23 SEAT HEIGHT 17"